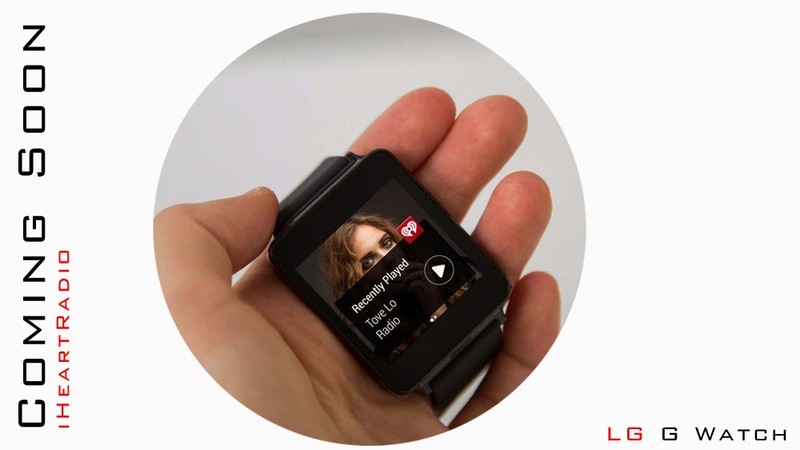 The streaming music and digital radio service iHeartRadio has announced it is coming to Android Wear smartwatches on Oct. 15. That means users who have iHeartRadio installed on their Android phone can control iHeartRadio via the Samsung Gear Live, Moto 360 and LG G Watch. The coolest part about this integration is that it works using voice activation. That means you can search for a radio station or artist simply by saying the station or artists name. The app will also allow users to access their favorite stations or shows from the watch, browse tailored recommendations, as well as thumb up or thumb down station and music recommendations. iHeartRadio is part of iHeartMedia (formerly known as Clear Channel) and is unique amongst streaming options with its breadth of content. The service has more than 50 million registered users and is integrated with more than 35 different devices and technologies. This isn't iHeartRadio's first foray into the wearables space, earlier this year iHeartRadio support came to the Samsung Gear 2 smartwatch. For us, the voice support is what makes this app partnership really make sense — especially in the context of a watch. Smartwatches are already great devices for controlling music playback, but to be able to use your voice as a way to call up a station or artist makes even more sense.